In Gratitude We are most grateful to the Canadian International Development Organization (CIDO) (http://www.cido.ca/index.php) and to Food for the Hungry-Canada (FH-Canada) (http://site.fhcanada.org/) for their generosity towards Kybele. CIDO donated a CT scanner and shipped it to FH-Canada. The scanner became part of a container load of medical equipment donated to several hospitals in Ghana where Kybele is working. Mr. Shawky Fahel , CEO of CIDO, and Mr. Lindsay Brucks, Director of FH-Canada’s International Medical Equipment Distribution program (IMED), were instrumental in making this happen. Additionally, Dr. Wendy Gore-Hickman, a Canadian obstetric anesthesiologist and Kybele volunteer, was responsible for raising much of the money used to accomplish this project. This is a wonderful example of how organizations working collaboratively can make a huge impact with a relatively small amount of money. The IMED program receives medical equipment no longer needed by the donating hospitals or organizations like the Canadian International Development Organization. The equipment is either already in working condition or can be refurbished. The IMED staff then oversees the process of checking out the equipment and getting it into working order. The containers are then shipped to hospitals in need of this equipment. In many parts of the world, including hospitals where Kybele works in Ghana, medical staff are in urgent need of equipment to be able to treat patients effectively. Kybele volunteers work with the local medical staff to upgrade knowledge on how to use the equipment. 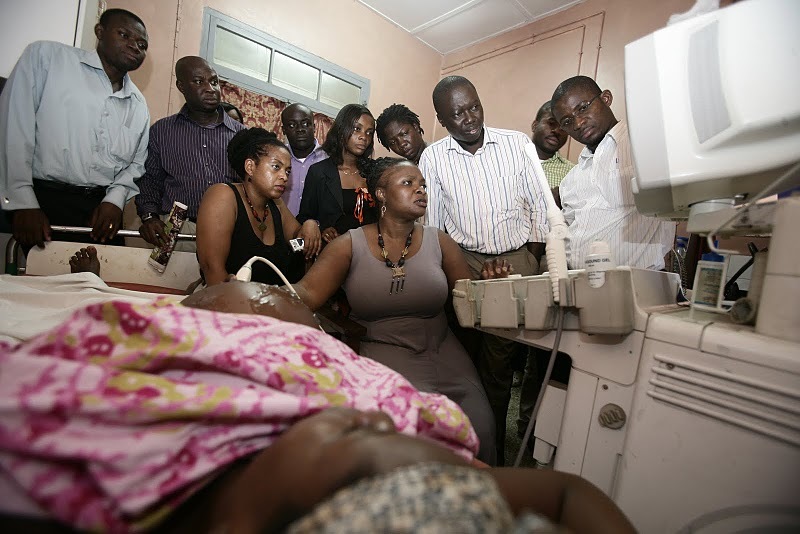 For example, the photo below shows a high-risk ultrasound workshop taught in Ghana by Dr. Maria Small (Duke Univ) and Kafui Demasio (Einstein Hospital, NY) on FH-Canada donated equipment. So, this kind of donation allows Kybele’s efforts reach many more people. Thank you, FH-Canada and CIDO! And thank you, Dr. Wendy Gore-Hickman!